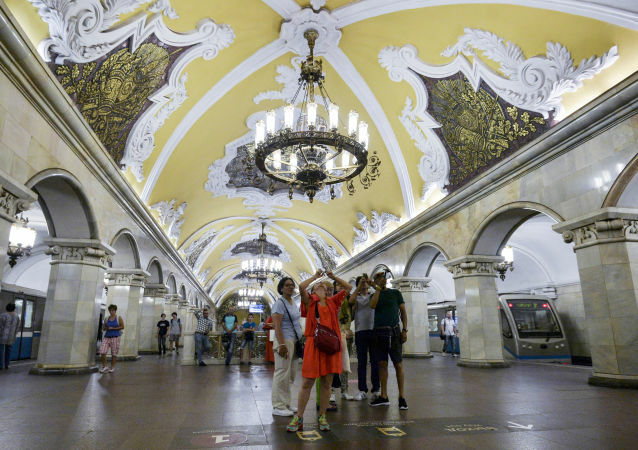 As three stations of the Russian capital’s subway were granted the status of national architectural monuments, let’s take a look at some of the most spectacular "palaces of the people." 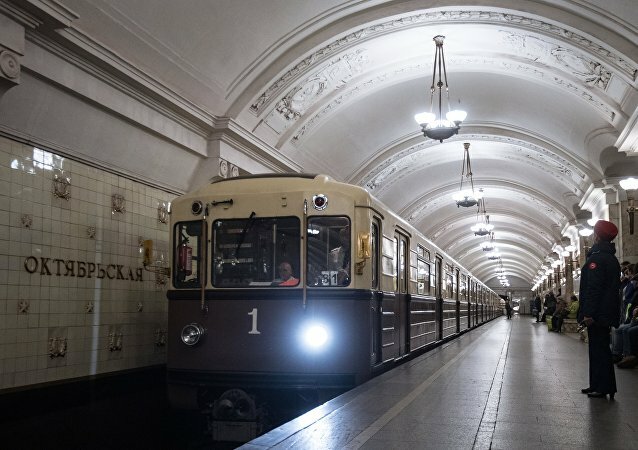 If a zombie apocalypse ever dawns on the Earth, the Moscow Metro may be the perfect place to hide. A performance of the Silmarillion opera, based on the eponymous work by J.R.R. Tolkien, was held at the Moscow Metro late on May 13 during the celebration of the subway's 82nd anniversary. The Moscow Metro, Russia's first and most extensive rapid transit system, holds a train parade to commemorate its 82nd anniversary. This spring, Moscow's Metro will receive a completely new train design – the 765 series 'Moskva', developed and built by the Metrowagonmash engineering plant. 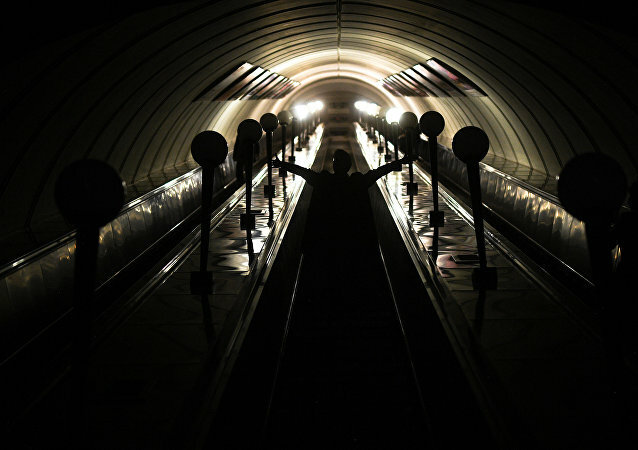 The Russian capital’s metro joined the popular video challenge and totally nailed it! 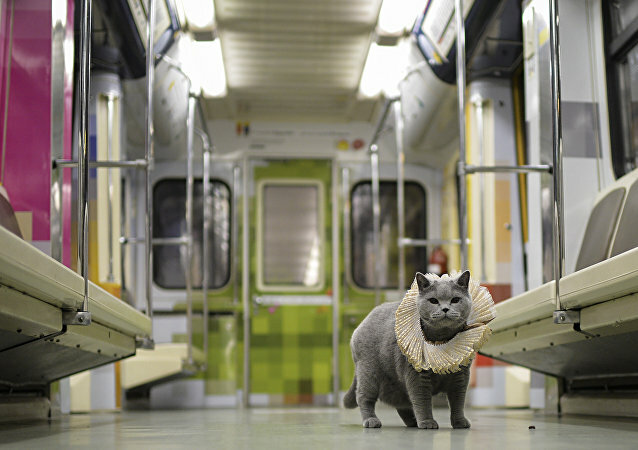 A British Shorthair cat was seen riding Moscow’s newest theme train, dedicated to the anniversary of the great poet and playwright William Shakespeare. The “Striped Express” launched in Moscow’s world-famous Metro subway system on Friday. 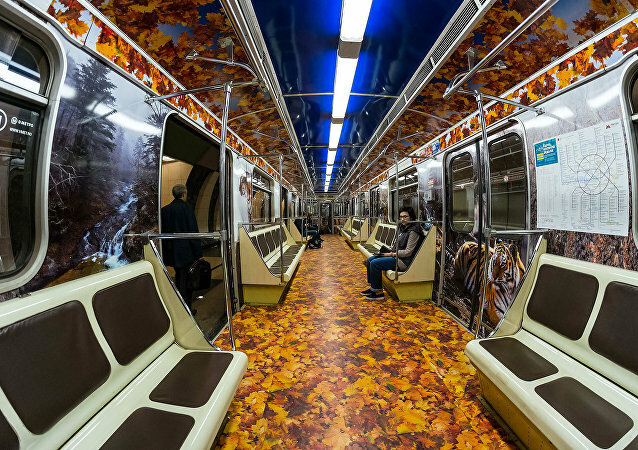 The train’s interior will give passengers the chance to learn about the rare cats that live in Russia’s Far East. The event took place in Kropotkinskaya station on Saturday. 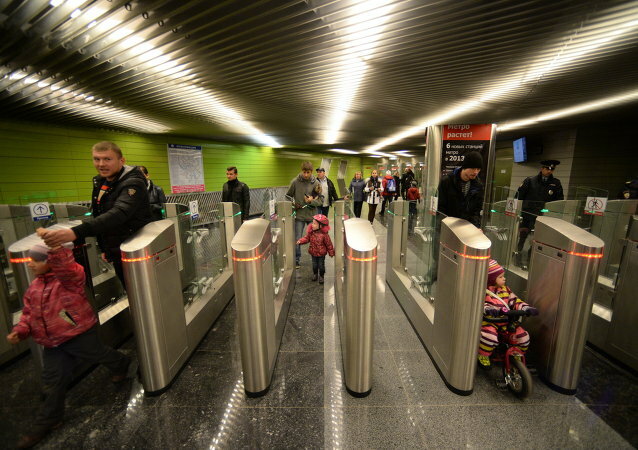 By the end of this year the Moscow metro will launch a video surveillance system to detect suspicious passengers and unattended belongings, the head of the Moscow subway told Izvestia newspaper on Monday. Why is Moscow Considering Closing its Monorail Network? Moscow city officials are currently discussing the possibility of closing part or all of the city's troubled monorail system. Sputnik gets to the bottom of what's behind proposals to close the system. Moscow's underground transport system is slated to see the introduction of trains which drive themselves. The Moscow Metro is a primarily underground rapid transit system that serves Moscow and parts of the neighboring Moscow Region. As of 2014, it has 195 stations and a system length of over 325.4 km (202.2 miles). The deadly derailment on the Moscow Metro this week could have been caused by an object under the train, and not a cable snap as suggested earlier, Kommersant business daily wrote Thursday, citing independent technical experts. The driver of a Moscow metro train was killed after he allegedly fell out of the driver’s compartment while the train was speeding between stations, a police source said Sunday. Russian police started to “decriminalize” Moscow’s sprawling subways system on Saturday by “identifying and suppressing” ethnic crimes and conducting massive checks of labor migrants, a police spokesman said.